Have you decided on who is hosting Thanksgiving dinner yet? In our family, this is always a big deal. Last year it was my sister’s turn since they had just bought a new house. This year, the host home is still a mystery. Fortunately, I can tell you a few simple ways to decorate your Thanksgiving table with At Home… just in case you are chosen at the last minute! When you think about the sheer number of people in just our immediate family — eight — you know that adding just one more group means things quickly add up. 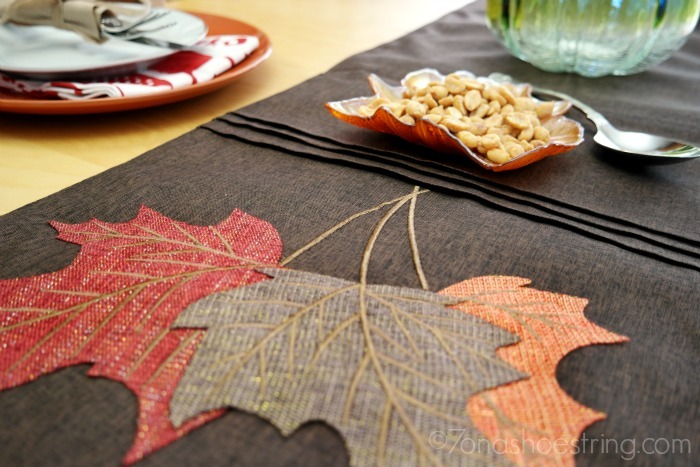 In terms of decorating a holiday table, that can get costly. With At Home, you can find decor options for every style and every budget. Whether you are looking for traditional, modern, or even quirky home decorations, you can find all of that and more at your local At Home store. Taking these four items and a few dishes, we made a classy, traditional table setting to dress up our table this Thanksgiving! And it really didn’t take a lot of time to out together, plus it is budget-friendly no matter how big your dinner party will be. 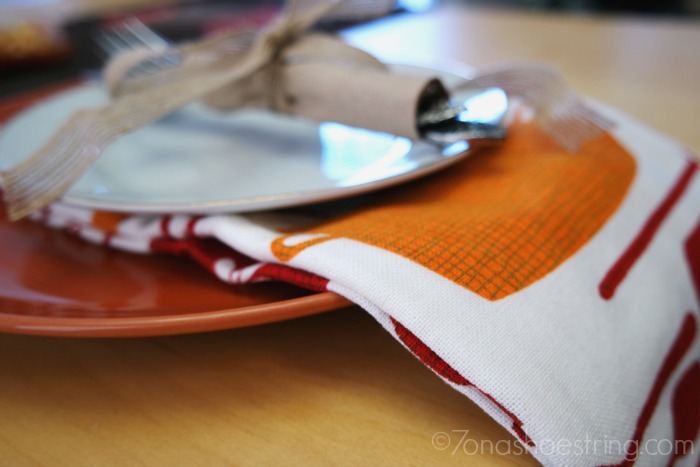 Take your dinner and bread plate, and stack them with the Utensil Flour Sack Towel between the two. 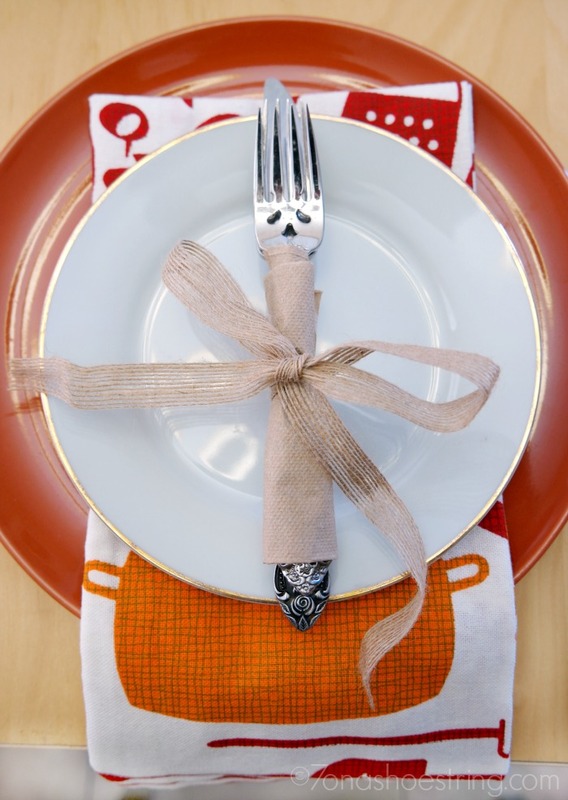 Next, we wrapped the eating utensils in a napkin and tied a burlap ribbon around it. Laying the set across the plate made the perfect embellishment and finishing touch to the setting. That was it. 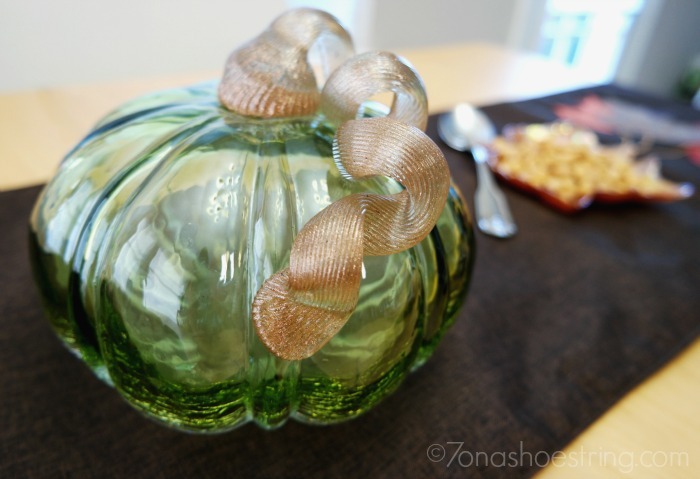 We pulled the Autumn Leaves Table Runner across the dining table and set the Glass Green Clear Pumpkin in the middle. Serving platters fill the other areas, including the Leaf Plate that held before-dinner peanuts. 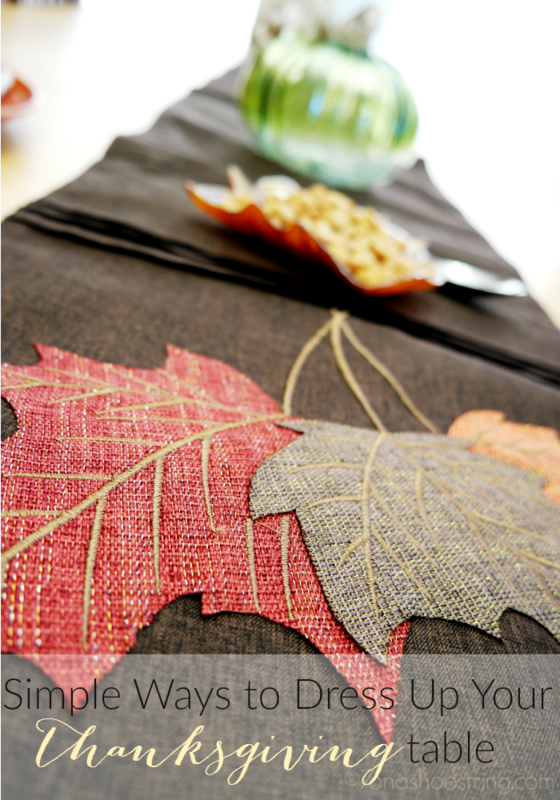 Everything was elegantly placed and the family loved the way we dressed up our Thanksgiving table. Me? I love how affordable… and easy… At Home made it! **Originally published on November 12, 2015.